On a whim, we have created a new “think inside the box” way to exchange gifts this year, and it turns out that we like this so much that it will probably end up being a family tradition that will last long after the boys have cleaved to their new wives and set up families of their own. This year, it is called the Altoids Tin Challenge. In successive years — we may choose other containers for the challenge. 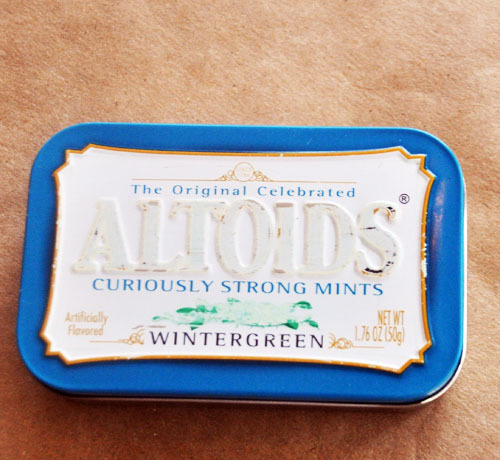 Altoids Tin — currently in progress of having its paint removed with acetone. You may eat your own mints. Create a gift for each one of the family members that fits inside the tin. You may decorate the tin any way you wish. Because I’m Chief Elf, I get the inside scoop on what everyone is creating — as I offer assistance. The origami maker has already decide we each get our own crane that will fit perfectly in the tin. 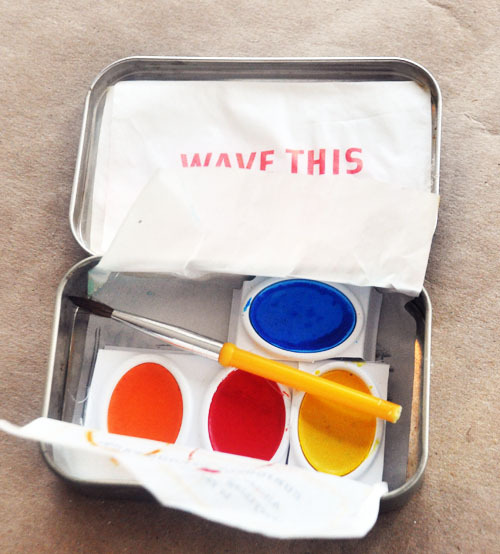 The origami maker is getting this little paint kit, containing at least all the primary colors, from his brother…. Thank you for the actual auspicious writeup. The idea in reality was obviously a amusement bank account it. Appearance complicated to considerably delivered agreeable compared to you! Nevertheless , how can we keep in touch?